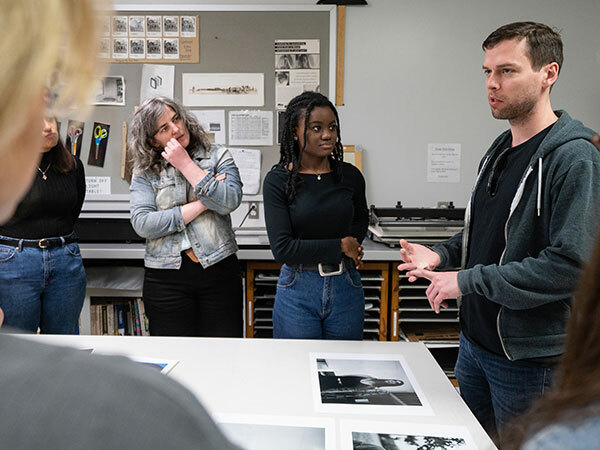 On March 14, St. Edward’s welcomed seven Photocommunications alumni for an exhibit and panel discussion. The group, which included Jaime Alexis ’07, John Clendenen ’08, Monika Kratochvil ’08, Michelle Leedy ’08, Brandon Maxwell ’08, Jessy Price ’08 and Ryan Slack ’08, has stayed in touch as they chased their dreams in New York City. Throughout this journey, they were roommates, co-workers and friends. 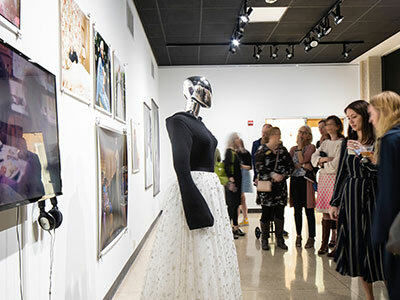 Together, they coordinated their exhibit “Now or Never,” which showcased their artistic growth since graduating. But they never forgot where it all began: on the hilltop. 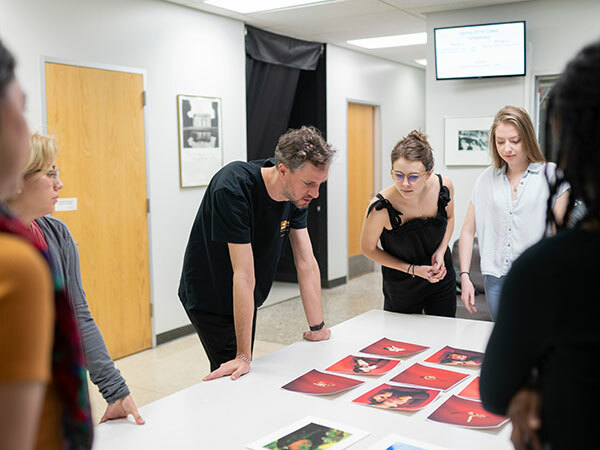 The day started with the alumni visiting a senior Photography and Media Arts class in the Fine Arts Building. 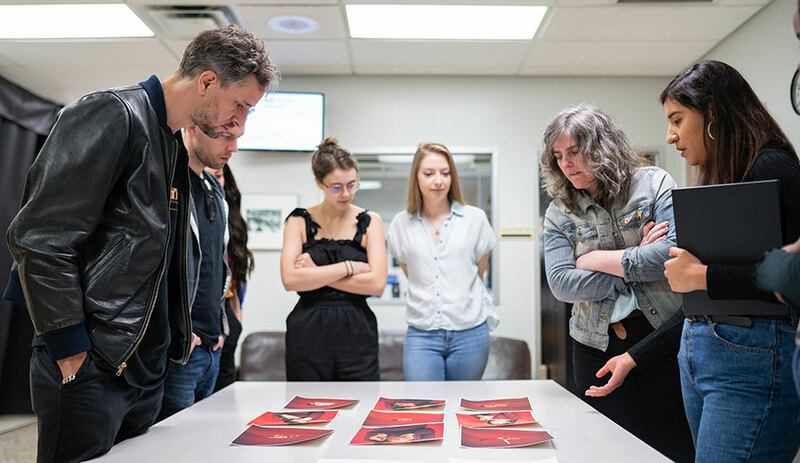 The class wrapped up with alumni reflecting on their senior showcase project. 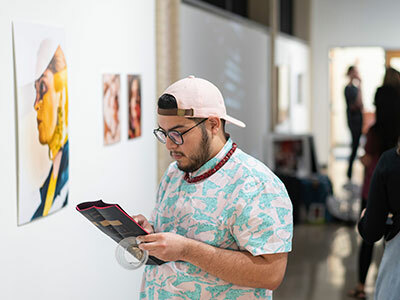 Not only did the group have an exhibit in the Fine Arts Gallery, but they also rented a space off-campus for a second show. 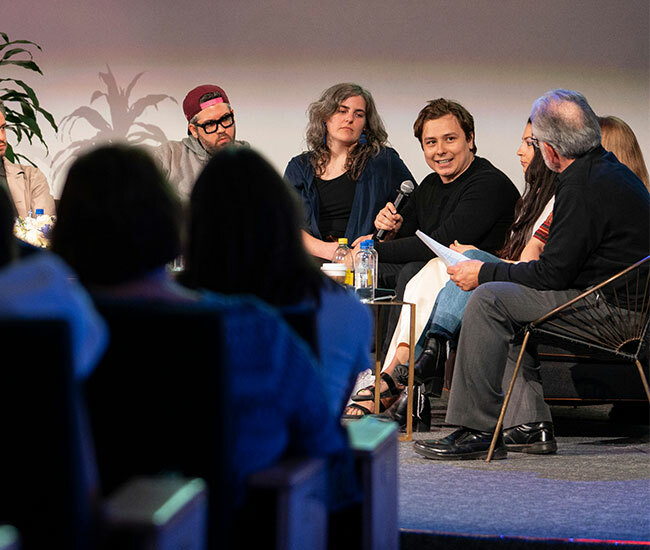 Students, professors and friends of the university gathered in Jones Auditorium to hear the seven Photocommunications alumni reflect on their hilltop experiences and share advice. “You don’t have to be network crazy, but you should definitely take note of everyone you meet and stay in touch with them. You might not see the value in it now, but in 10 years, you will,” said Slack. 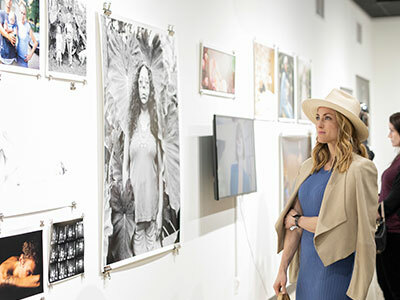 “It’s been a really great 10 years knowing that I pursued something that I wanted to do, instead of just going for something that I thought would potentially be good on paper,” said Alexis. 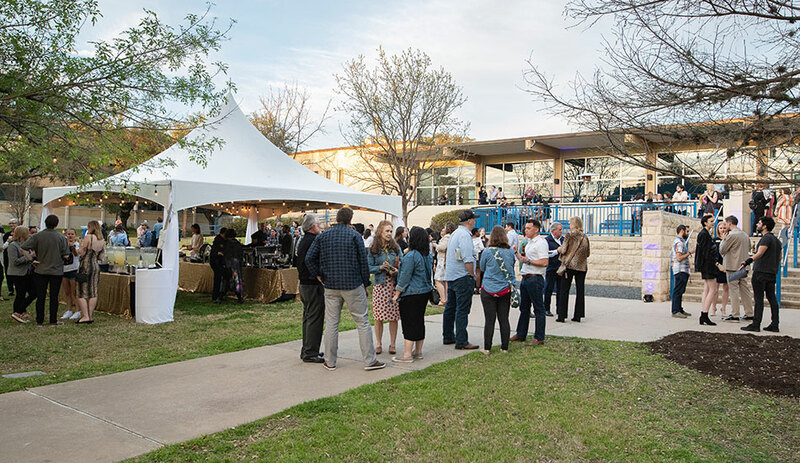 Alumni, students and guests enjoyed a perfect spring evening outside the Fine Arts Center. 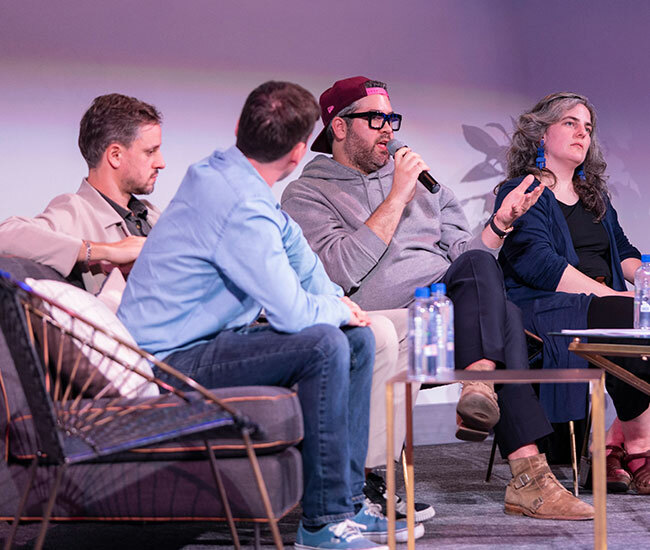 At one point, Maxwell ventured to the parking lot to do a live video on Instagram to tease the premiere of Project Runway, where Maxwell serves as a judge on the new season. “There’s never going to be another time in your life that you will be as naïve as you are right now and free to do anything,” said Maxwell. 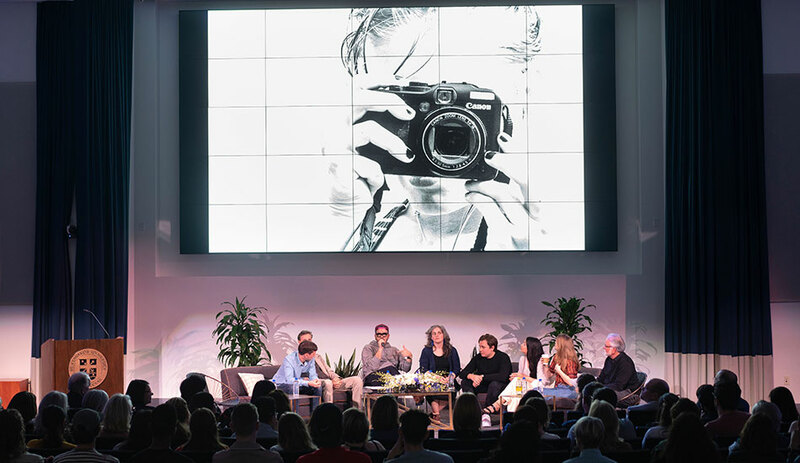 The exhibit closed at the end of the evening, but the journey continues for these seven alumni. Learn more about their friendship, work and success.